In construction projects, the question often arises as to when subcontractors are due payment from the general contractor. A disruption in the flow of payment from the owner to the general contractor, and then to the subcontractors is often the cause of litigation in construction disputes. In entering into a contract to provide services to a general contractor, the subcontractor must be aware of the payment clause in its agreement in order to appropriately assess its risk in proceeding with supplying its services for the project. 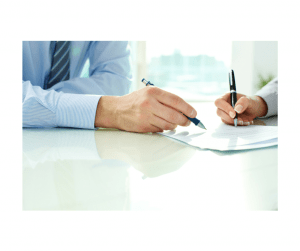 Subcontractor agreements often contain either a “pay-if-paid” clause or a “pay-when-paid” clause. A “pay-when-paid” clause requires the general contractor to pay the subcontractor regardless of whether the general contractor receives payment from the owner. Conversely, a “pay-if-paid” clause requires the general contractor to pay the subcontractor only if the owner pays the general contractor. The Ohio Supreme Court recently clarified the distinction between these payment clauses in Transtar Elec, Inc. v. AEM Elec. Servs. Corp., Slip Opinion No. 2014-Ohio-3095. In Transtar, the subcontractor filed suit seeking payment of over $44,000 that was never paid by the general contractor or the owner. The general contractor only paid a portion of the work completed by the subcontractor because the general contractor had not received full payment from the owner. The Contractor shall pay to the Subcontractor the amount due under subparagraph (a) above only upon the satisfaction of all four of the following conditions: (i) the Subcontractor has completed all of the Work covered by the payment in a timely and workmanlike manner, …(ii) the Owner has approved the Work, …(iii) the Subcontractor proves to the Contractor’s sole satisfaction that the Project is free and clear from all liens….and (iv) the Contractor has received payment from the Owner for the Work performed by Subcontractor. RECEIPT OF PAYMENT BY CONTRACTOR FROM OWNER FOR WORK PERFORMED BY SUBCONTRACTOR IS A CONDITION PRECEDENT TO PAYMENT BY CONTRACTOR TO SUBCONTRACTOR FOR THAT WORK. The general contractor relied on the provision that payment from the owner was a “condition precedent” to payment by the contractor, to support its decision not to pay the subcontractor for all of its work. The subcontractor argued that the payment clause was actually a “pay-when-paid” provision, which required the general contractor to pay regardless of whether it received full payment from the owner. The Sixth District sided with the subcontractor, finding that the payment provision did not contain adequate language to create a “pay-if-paid” clause. The Sixth District reasoned that in order to shift the risk of owner nonpayment to the subcontractor, the payment provision must clearly and unambiguously demonstrate the parties’ intent to do so. The general contractor appealed the decision to the Ohio Supreme Court, which reversed the Sixth District’s decision. The Ohio Supreme Court found that by using the language “condition precedent” in the payment clause, the parties intended that the risk of the owner’s nonpayment shift to the subcontractor rather than remain with the general contractor. In other words, by making payment from the owner to the general contractor a “condition precedent” to payment from the general contractor to the subcontractor, the parties had agreed to a “pay-if-paid” clause. As a result, the subcontractor could not force the general contractor to pay the balance due under the contract. The Transtar decision highlights the importance of fully understanding the terms of a construction contract in order to properly plan for the risks that may confront a general contractor or a subcontractor in undertaking a construction project. A party to a construction contract must be able to identify whether the contract contains a “pay-if-paid” clause, or a “pay-when-paid” clause, and must fully understand how each clause shifts the risk of nonpayment. In addition to understanding the payment terms in its contract, subcontractors should also remember to preserve their mechanic’s lien rights to further protect their ability to receive payment for their work. Under Ohio Revised Code 41113.62(E), a subcontractor does not waive its mechanic’s lien rights by entering into a “pay-if-paid” contract. Thus, when choosing to provide services subject to a “pay-if-paid” clause, a subcontractor should comply with Ohio’s Mechanics Lien law in order to provide the best possible chance of receiving full payment for its services. The Finney Law Firm has represented owners, general contractors, and subcontractors in construction projects. Our attorneys are experienced in negotiating contracts and in litigating construction disputes. Please contact us if we can assist you with your legal needs.